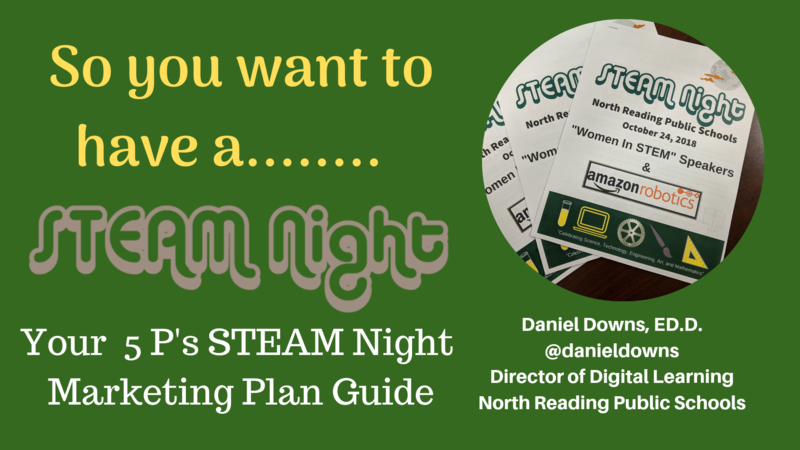 A successful STEAM night in the end will make you say “Thanks!” and it will have you truly recognizing the amazing resources that you have not only in your own educational community but also within the community of resources and connections who are willing to support your district STEAM vision. All district events are always a tremendously collaborative experience which require extensive planning and support from district, building and classroom level personnel. Special thanks go out to our Superintendent Jon Bernard and Assistant Superintendent Patrick Daly who provided support with planning and executing the event. 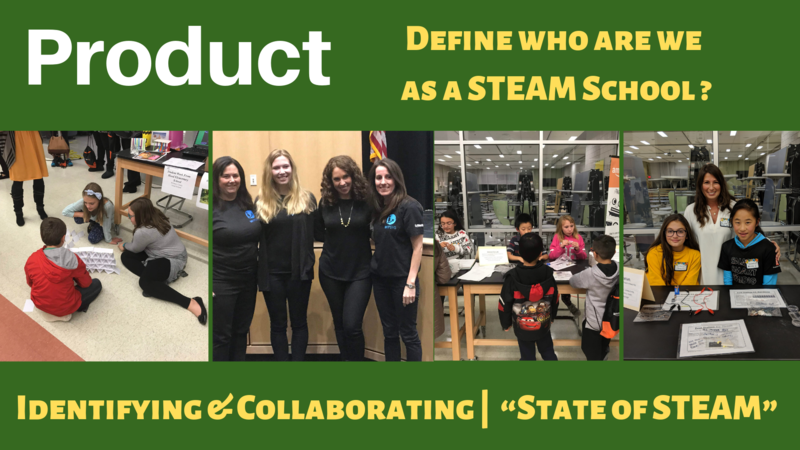 In my district, we have spent the past few years identifying, collaborating and implementing a range of STEAM focused activities, programs and curriculums. We have also taken advantage of a range of professional associations with Higher Education, Regional Workgroups to support our districts STEAM conversations and internal collaboration. These connections support a deeper vision for STEAM in our schools and a concentrated effort to continue the supporting the many moving parts making education exciting and engaging for all students. Traditionally, many academic departments operate in a “siloed” discussion groups in which curriculum discussions are held between stakeholders around topics which generally provide self sufficiency to their ends but don’t always have the opportunity to collaborate, cross-curriculums and create more authentic experiences to students. Alas, the four C’s of Creativity, Collaboration, Communication and Critical Thinking must work across leadership, teachers and students simultaneously. 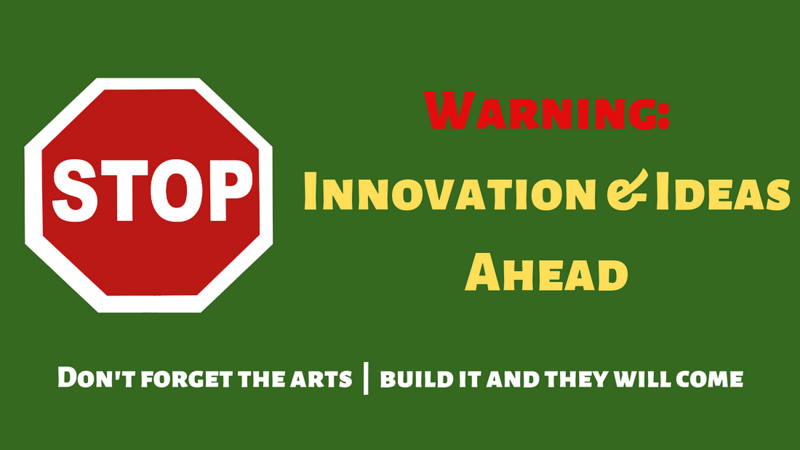 How do departments and schools communicate around STEAM innovation? Do they communicate? What is your “State of STEAM”? Support multiple visions to enable adoption. It is my belief that it is much easier to have a holistic approach to bring departments and learning initiatives together. 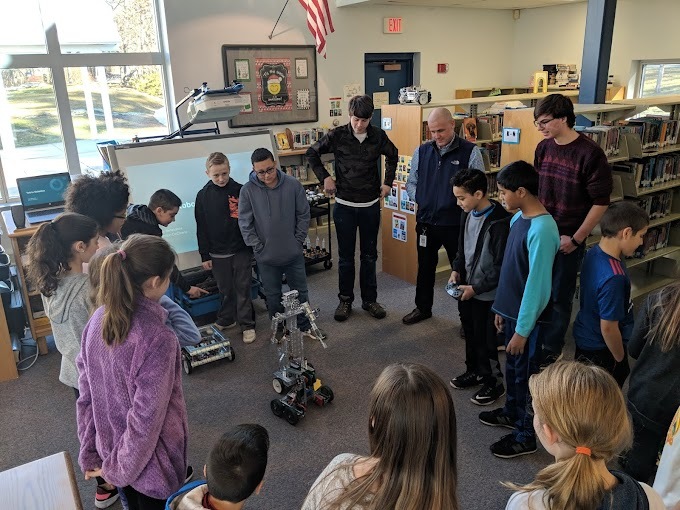 STEAM brings people and ideas together and it is better to see the interconnectedness of curriculums and how they can work together to bring interdisciplinary opportunities to students. There is always continual work to do in interdisciplinary approaches but I would suggest that our work with MAPLE on supporting Personalized Learning allows us to be more open and engaged with different curriculum approaches which meet a range of needs. With digital tools increasingly embedded within classroom instruction the practice of reviewing digital pedagogies and 21st century rubrics drives education to encourage a reflective approach. Our initial discussions around planning a district STEAM event were brought on by Governor Bakers charge to support STEM initiatives within the state for “STEM Week”. Our growth across content areas in STEAM related learning and interdisciplinary approaches was something worth sharing and aligned with many of the goals of our technology plan and new innovative classroom approaches. Expand your vision! 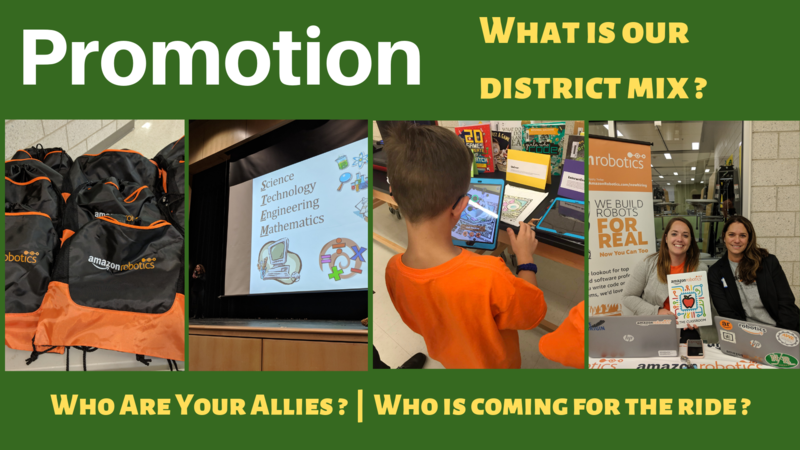 We decided in June to formally begin the planning of our district STEAM event. This timeframe provided an opportunity for us to get our ducks in a row around identifying outside resources and those who we feel could be involved. It sometimes also takes more time than usual to confirm that the theme and presenters and participants are confirmed and aligned with the vision of the evening. Plan long term! As we secured teachers, table demonstrations and encouraged our community resources to participate in the event, the shape of the event evolved and we decided to formally select speaker groups. It was decided to bring in speakers from the “Women In STEM” group from Fidelity Investments. These dynamic speakers, technologists and STEM leaders from industry were identified as our key speaker group paired with a presentation from our local community STEAM partner Amazon Robotics. 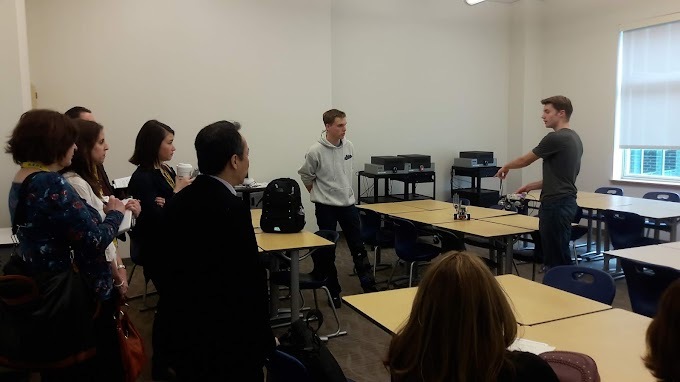 We defined our target audience as the greater school and community who were interested in attending the speaker event, activity tables and demonstrations of science, technology, engineering and art demonstrations. We wanted to appeal to all ages. Teachers from many departments were willing to participate and share the work from classrooms K-12. All of our schools were represented and some of the outside teams from FIRST robotics were participants. Representation included science ,engineering, arts, robotics and the digital learning department. 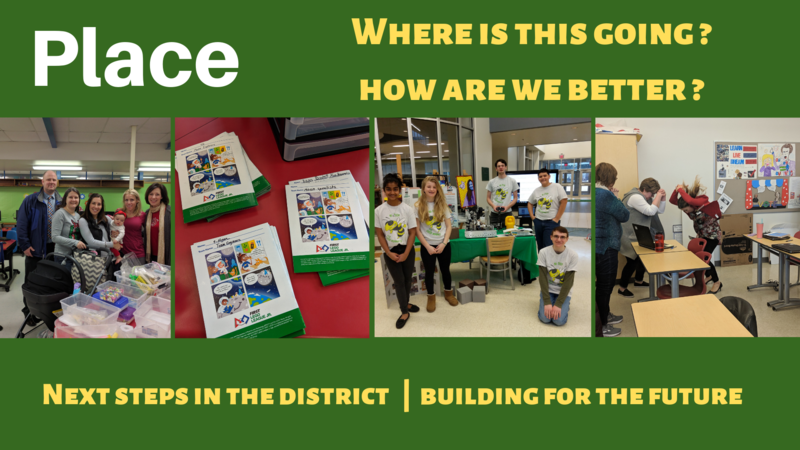 When teachers returned in the fall and we connected with them on what they felt could be their presentation or table demonstrations many science groups or classes felt they had something they could contribute and our Digital Learning teachers from all schools had representation for all schools. We wanted to provide an open opportunity for all departments in STEAM content to participate. Take advantage of teacher leaders. With our table demonstrations and presentations coming together it became time to solidify the participants who were coming in from outside organizations and to begin to visualize the event. These steps included finalizing the final floor plan of tables and presenter locations, create and share the online and email event invitation, finalize the human support and building resources ( custodians, moving tables, projectors, robotics demonstrations, providing monitors and keyboards etc.) that would streamline the evening. 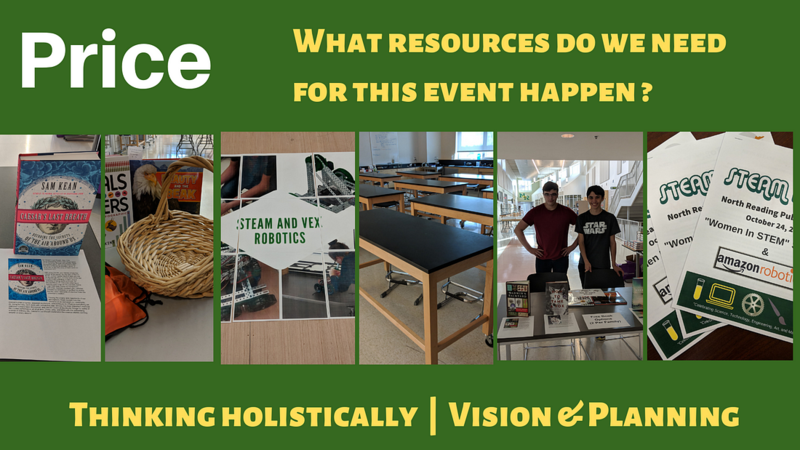 Additional areas of focus included a graphic for the digital and paper handout for the event, an outline of the participants and sequence of events, coordinating the anticipated experiences of our visitors (demonstrations, raffle, free books, Amazon Swag Bag, presenters) and timeline. Some of the final details which were part of the event included having plenty of pizza for our presenters, students and teachers and staff which supported the event. The process we went through as a planning team of district leadership, teacher leaders and outside collaborators was a practice in the collaboration we promote in our classrooms to support student learning. We were able to establish higher level conversations around the work we do in all schools and around STEAM content areas and we are very excited to begin the planning for our next event. We have a greater interest in participating in curriculum groups around STEAM initiatives and the dialogue around our next steps has already begun. We continue to think about the ways we can improve the evening and the new collaborations and sharing which is possible in an event like a “STEAM Night” or showcase. I invite you to take a look at my gallery of photos from the event and our online listing of events for our evening for a list of contributors to the event. I am wholeheartedly in debt to those educators and supporters who made our eventing a success on so many levels.